Supplements: What are the Benefits? So many patients come to us with symptoms and want to know what can be done. Here is a brief list of common symptoms and some common potential solutions. Some of the supplements are easy to find, others are more obscure, but if you are having trouble with any of these we can likely help you at our office. Obviously not all the supplements are for everyone who has these symptoms. All these supplements can be found at a good quality health food store, or we have these ingredients in our supplements that are use for these specific symptoms. A very famous doctor once said, “If you can’t find it, you can’t fix it.” This is why we use the best avenues available for diagnosis and treatment of your health problems. 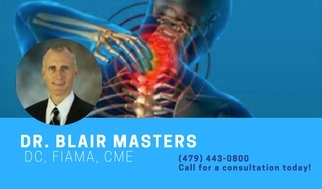 Such as careful review of patient case history, muscle testing, computerized evaluations, Labrix saliva testing, blood testing, and of course x-rays if needed. We at Arkansas Physical Health and Rehab invite you to be proactive about your health and come in for a nutrition evaluation to find out what your body may need to reach its full health potential. Call us today at (479) 443-0800 or click here to schedule an appointment.